The collapse in real estate prices from 2007 through 2012 was the most significant event in the real estate industry since the Great Depression. But today, with the real estate market rebounding, a new generation of investors is entering the field, eager to make their fortune. 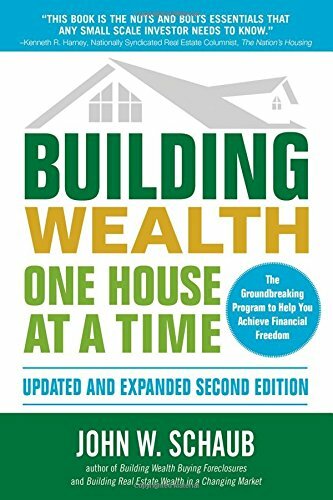 Building Wealth One House at a Time, 2nd Edition provides you with a practical way to create wealth through an ethical approach of buying, financing, and managing property. Renowned real estate expert John W. Schaub takes you through his 9-step program and explains how to accumulate one million dollars’ worth of houses debt free in any market, while earning a steady cash flow. This invaluable guide presents fresh strategies for buying and financing property, reflected in six new chapters on topics such as real estate cycles, financing real estate purchases, negotiation techniques, and retirement investing. Building Wealth One House at a Time, 2nd Edition reveals how virtually anyone can accumulate houses debt free and earn an income for life.